Custom communication library for interaction with Triconex controllers. The attacker gained remote access to an SIS engineering workstation and deployed the TRITON attack framework to reprogram the SIS controllers. During the incident, some SIS controllers entered a failed safe state, which automatically shutdown the industrial process and prompted the asset owner to initiate an investigation. The investigation found that the SIS controllers initiated a safe shutdown when application code between redundant processing units failed a validation check -- resulting in an MP diagnostic failure message. The attacker targeted the SIS suggesting an interest in causing a high-impact attack with physical consequences. This is an attack objective not typically seen from cyber-crime groups. The attacker deployed TRITON shortly after gaining access to the SIS system, indicating that they had pre-built and tested the tool which would require access to hardware and software that is not widely available. TRITON is also designed to communicate using the proprietary TriStation protocol which is not publicly documented suggesting the adversary independently reverse engineered this protocol. The targeting of critical infrastructure to disrupt, degrade, or destroy systems is consistent with numerous attack and reconnaissance activities carried out globally by Russian, Iranian, North Korean, U.S., and Israeli nation state actors. Intrusions of this nature do not necessarily indicate an immediate intent to disrupt targeted systems, and may be preparation for a contingency. Modern industrial process control and automation systems rely on a variety of sophisticated control systems and safety functions. These systems and functions are often referred to as Industrial Control Systems (ICS) or Operational Technology (OT). A Distributed Control System (DCS) provides human operators with the ability to remotely monitor and control an industrial process. It is a computerized control system consisting of computers, software applications and controllers. An Engineering Workstation is a computer used for configuration, maintenance and diagnostics of the control system applications and other control system equipment. A SIS is an autonomous control system that independently monitors the status of the process under control. If the process exceeds the parameters that define a hazardous state, the SIS attempts to bring the process back into a safe state or automatically performs a safe shutdown of the process. If the SIS and DCS controls fail, the final line of defense is the design of the industrial facility, which includes mechanical protections on equipment (e.g. rupture discs), physical alarms, emergency response procedures and other mechanisms to mitigate dangerous situations. Asset owners employ varied approaches to interface their plant's DCS with the SIS. The traditional approach relies on the principles of segregation for both communication infrastructures and control strategies. For at least the past decade, there has been a trend towards integrating DCS and SIS designs for various reasons including lower cost, ease of use, and benefits achieved from exchanging information between the DCS and SIS. We believe TRITON acutely demonstrates the risk associated with integrated designs that allow bi-directional communication between DCS and SIS network hosts. The attack lifecycle for disruptive attacks against ICS is similar to other types of cyber attacks, with a few key distinctions. First, the attacker’s mission is to disrupt an operational process rather than steal data. Second, the attacker must have performed OT reconnaissance and have sufficient specialized engineering knowledge to understand the industrial process being controlled and successfully manipulate it. Figure 2 represents the relationship between cyber security and safety controls in a process control environment. Even if cyber security measures fail, safety controls are designed to prevent physical damage. To maximize physical impact, a cyber attacker would also need to bypass safety controls. The SIS threat model below highlights some of the options available to an attacker who has successfully compromised an SIS. The attacker can reprogram the SIS logic to cause it to trip and shutdown a process that is, in actuality, in a safe state. In other words, trigger a false positive. Implication: Financial losses due to process downtime and complex plant start up procedure after the shutdown. The attacker can reprogram the SIS logic to allow unsafe conditions to persist. Implication: Increased risk that a hazardous situation will cause physical consequences (e.g. impact to equipment, product, environment and human safety) due to a loss of SIS functionality. The attacker can manipulate the process into an unsafe state from the DCS while preventing the SIS from functioning appropriately. Implication: Impact to human safety, the environment, or damage to equipment, the extent of which depends on the physical constraints of the process and the plant design. We assess with moderate confidence that the attacker’s long-term objective was to develop the capability to cause a physical consequence. We base this on the fact that the attacker initially obtained a reliable foothold on the DCS and could have developed the capability to manipulate the process or shutdown the plant, but instead proceeded to compromise the SIS system. Compromising both the DCS and SIS system would enable the attacker to develop and carry out an attack that causes the maximum amount of damage allowed by the physical and mechanical safeguards in place. Once on the SIS network, the attacker used their pre-built TRITON attack framework to interact with the SIS controllers using the TriStation protocol. The attacker could have caused a process shutdown by issuing a halt command or intentionally uploading flawed code to the SIS controller to cause it to fail. Instead, the attacker made several attempts over a period of time to develop and deliver functioning control logic for the SIS controllers in this target environment. While these attempts appear to have failed due one of the attack scripts’ conditional checks, the attacker persisted with their efforts. This suggests the attacker was intent on causing a specific outcome beyond a process shutdown. Of note, on several occasions, we have observed evidence of long term intrusions into ICS which were not ultimately used to disrupt or disable operations. For instance, Russian operators, such as Sandworm Team, have compromised Western ICS over a multi-year period without causing a disruption. TRITON was deployed on an SIS engineering workstation running the Microsoft Windows operating system. The malware was named to masquerade as the legitimate Triconex Trilog application. This application is used for reviewing logs and is a part of the TriStation application suite. The malware was delivered as a Py2EXE compiled python script dependent on a zip file containing standard Python libraries, open source libraries, as well as the attacker-developed Triconex attack framework for interacting with the Triconex controllers. Along with the executable, two binary files, inject.bin (malicious function code) and imain.bin (malicious control logic), were deployed as the controller’s payload. These file names were hard coded in the Py2EXE compiled python script. Trilog.exe took one option from the command line, which was a single IP address of the target Triconex device. It did not leverage the underlying TRITON library’s capability for Triconex device discovery, instead an instance of trilog.exe had to be invoked separately for each target controller in the environment. Once invoked, trilog.exe checked the status of the controller, then read the configuration information exposed by the TriStation protocol. If the controller was in a running state, trilog.exe encoded the two payload files inject.bin and imain.bin and passed them to the communication libraries to be appended to the controller’s program memory and execution table. 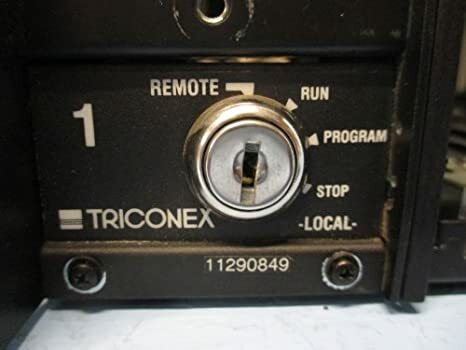 After payload files were inserted into memory on the Triconex controller, the script initiated a countdown, periodically checking the status of the controller. If an error was detected, the communication library’s method SafeAppendProgramMod attempted to reset the controller to the previous state using a TriStation protocol command. If this failed, trilog.exe attempted to write a small ‘dummy’ program to memory. We assess that this was an anti-forensics technique to hide the presence of the attacker code on the Triconex controller. Working with the asset owner, Mandiant ran trilog.exe in a lab environment with a valid Triconex controller and discovered a conditional check in the malware that prevented the payload binary from persisting in the environment. Mandiant confirmed that, after correcting patching the attack script to remove this check, the payload binary would persist in controller memory, and the controller would continue to run. TRITON implements the TriStation protocol, which is the protocol used by the legitimate TriStation application, to configure controllers. TsHi is the high-level interface created by the malware’s authors that allows the threat actor’s operators to implement attack scripts using the TRITON framework. It exposes functions for both reconnaissance and attack. The functions generally accept binary data from the user, and handle the code ‘signing’ and check sums prior to passing the data to lower level libraries for serialization on to the network. TsBase, another attacker-written module, contains the functions called by TsHi, which translate the attacker’s intended action to the appropriate TriStation protocol function code. For certain functions, it also packs and pads the data in to the appropriate format. TsLow is an additional attacker module that implements the TriStation UDP wire protocol. The TsBase library primarily depends on the ts_exec method. This method takes the function code and expected response code, and serializes the commands payload over UDP. It checks the response from the controller against the expected value and returns a result data structure indicating success or a False object representing failure. TsLow also exposes the connect method used to check connectivity to the target controller. If invoked with no targets, it runs the device discovery function detect_ip. This leverages a "ping" message over the TriStation protocol using IP broadcast to find controllers that are reachable via a router from where the script is invoked. description = "TRITON framework recovered during Mandiant ICS incident response"